With the soon-to-be-dedicated Martin Luther King, Jr., Memorial along Washington, DC’s Tidal Basin, and the scheduled opening of the Smithsonian’s National Museum of African American History and Culture in 2015, some of Martin Luther King, Jr.’s dreams are becoming a reality. 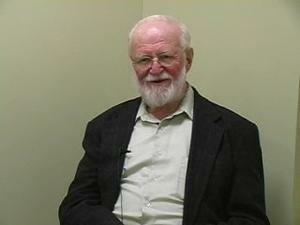 Let’s take a look back at the impact of this influential man and his ideas on the Smithsonian. Smithsonian staff members, working in in the heart of the nation’s capital, witnessed the civil rights demonstrations of the 1960s, and were inspired by King’s vision for a more just America. In 1967, King and the Southern Christian Leadership Conference (SCLC) planned a “Poor People’s Campaign” to fight racism and poverty (see records about the "Poor People's Campaign from the Smithsonian). 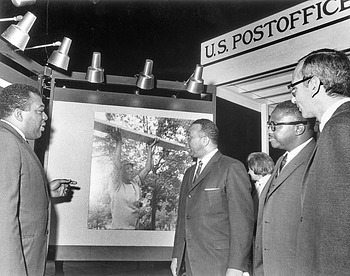 After King’s assassination in April of 1968, the SCLC decided to go forward with the campaign, and soon a village of tents and make-shift shelters, called Resurrection City, was set up near the Lincoln Memorial to house those people who came to Washington to demonstrate for social justice. As Dr. Keith Melder, then curator of political history in the National Museum of History and Technology (now the National Museum of American History), recalled in an oral history interview conducted in 2006, “It rained and rained and rained. It rained, I think, almost every day for something like forty days. It rained, and the landscapes turned into mud and mire. And these poor people, they lived out here in the Resurrection City shelters. Somebody had designed a cheap shelter, not tents exactly, but plywood, tent-like structures, and they bedded down in these things, and they never got dry.” Smithsonian museums—their restrooms and restaurants, as well as exhibits—helped shelter Resurrection City residents from the wet spring and poor conditions. 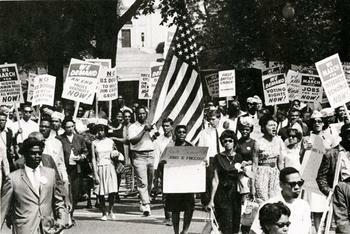 While there was debate within the Institution as to how the Smithsonian should respond—limit access to ensure no damage to the museums, or welcome a new audience—Secretary S. Dillon Ripley insisted that the doors stay open and trained the guard force to deal with demonstrators calmly, avoiding confrontation. Melder’s reminiscences remind us of the struggles of that era and the deep emotions on both sides of the racial divide. 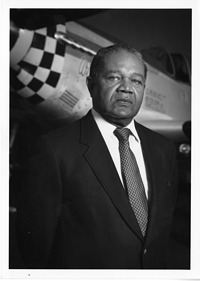 At the same time, the Institution itself was grappling with how to become a more representative and diverse place, appointing its first African American museum director, John Kinard of Anacostia Neighborhood Museum in 1967; first African American curator, Louis Purnell of National Air and Space Museum in 1968; first African American member of the Board of Regents, A. Leon Higginbotham, Jr., in 1971; and first African American Assistant Secretary, Julian Euell in 1974. As we pause to honor Dr. King, it is important to acknowledge and think about the ways his vision changed the Smithsonian, as well as the nation.